The stunning, vaulted architecture of Balboa Park in San Diego complements its incredible collection of museums and cultural centers. If you have the time and disposable income, a trip down Highway 101 is always guaranteed to take you somewhere fun or interesting. Once you make it to the bumper-to-bumper bustle of Los Angeles, you can skip over to Highway 5 South, and enjoy a beachside cruise all the way down to San Diego. A bustling city that boasts all the cosmopolitan accoutrement of Los Angeles, but with far less traffic, San Diego is a major leader in California’s craft brewing movement. I spent a recent weekend in San Diego with a group of beer enthusiasts who enjoy the finer points of a pilsner as much as to the swirling flavors of stout and learned a great deal about the various techniques and styles of brewing going on in the area. Our first stop was a favorite for most of us, Ballast Point Brewing and Spirits’ tasting room and kitchen. The tasting room’s long bar, boasting tap after tap of Ballast Point’s famous brews, takes center stage but isn’t the only attraction. While sipping on seasonal creations, like the delicious Grapefruit Sculpin, we ordered some food from the kitchen. San Diego is a city that prides itself on its seafood, so we ordered a basket of mussels. My first taste of a mussel was a wonderful experience, as the little morsels of buttery, lemony goodness paired perfectly with the beer and the sun-soaked day. 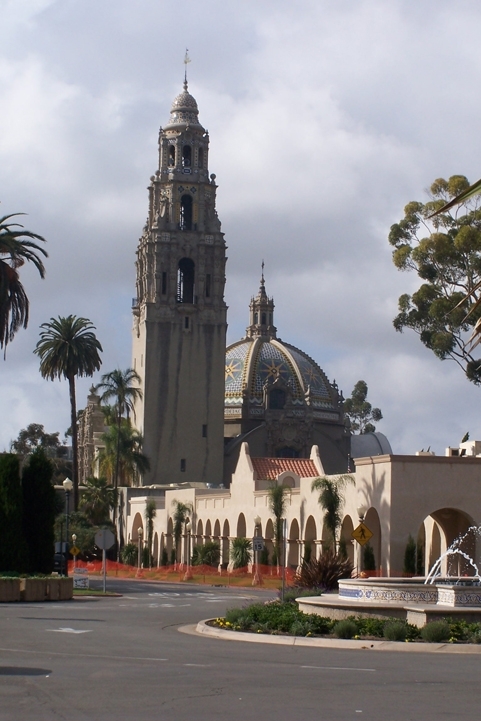 Not far from Ballast Point’s tasting room is the beautiful Balboa Park, with its classic architecture, meandering paths, gifts shops, museums, and cultural centers. We spent a warm afternoon walking through the park, weighing the possible museum options, and ultimately settled on the Museum of Man, which must be one of the greatest Anthropological museums in the country. From pot shards to mummies, torture equipment to ancient goddess statues, the Museum of Man was an enthralling and humbling experience. 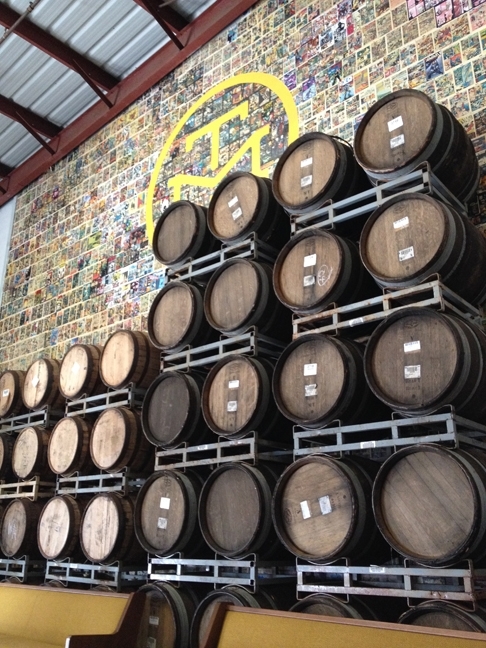 ﻿Modern Times Beer’s Point Loma tasting room is a wide-open warehouse cozy enough to spend hours sipping in. We stopped in at the AleSmith Brewing Company on Saturday at 2 p.m., which was, incidentally, perfect timing to take a brewery tour. Led by tasting room supervisor Nick Betteker, the tour took visitors—with drinks in hand—through AleSmith’s laboratory of towering, shiny drums used for brewing. Betteker was professional and knowledgeable, able to answer questions on the fly, and offered insight into not just AleSmith beers but other local craft brews as well. 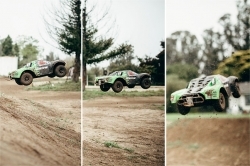 AleSmith is located in “North County” San Diego, along with another well-known brew house, Green Flash Brewing Company. Known especially for their West Coast IPA, Green Flash has been winning awards and people’s taste buds with its variety of brews. The brewery tasting room includes sights of mammoth equipment and a state-of-the-art bottling line, plus there is a fabulous, comfortable patio on which to sip suds and soak up some sun. We found another tasty experience in the Modern Times Beer’s Point Loma tasting room. The open and comfortable feel of a warehouse-meets-living-room atmosphere made our two-hour visit whiz by. Not only does Modern Times brew, they also roast coffee beans on sight. They serve cold-brewed coffee, and there are also a slew of coffee beers made with the brewery’s beans. The fact that Modern Times roasts their own coffee beans makes them a unique brewery, but it doesn’t stop there. The brewery buys the beans when they are still green, and Modern Times ages the green beans in red wine or whiskey barrels, which yields an incredibly rich, diverse, and novel coffee experience. 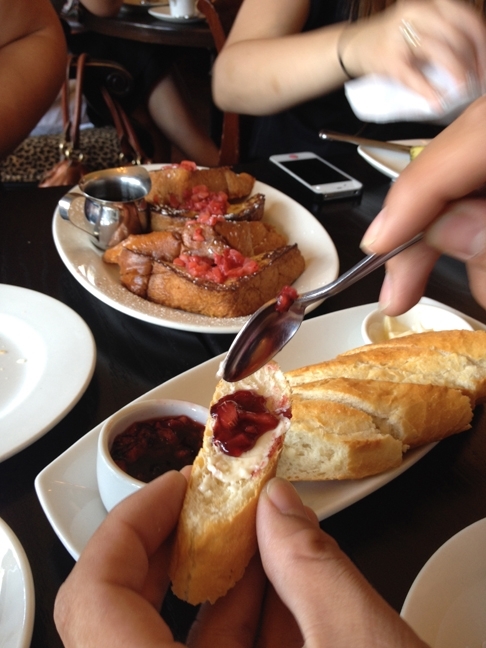 ﻿﻿﻿Café Bleu in San Diego boasts a non-pretentious French cuisine experience, with a superb Sunday brunch that includes mimosas and delicious baguettes with Strawberry sauce. Of course, all of that beer tasting was hungry work. Every brewery mentioned offers flights, or several smaller servings of different beers, but only a handful add food into the mix. A wonderful symbiosis has been achieved between the brewing and food truck industries in places like Los Angeles and San Diego, where many breweries choose to focus purely on their beers and welcome an array of interesting and delicious food trucks to stop on by. After spending three solid days exploring a variety of breweries, restaurants, and other enjoyments, I can’t help but think that my party and I barely scraped the surface of amazing creations and confections San Diego offers up. One late-night burrito run to a hole-in-the-wall joint called El Zarape illustrates my feelings exactly—just miles from both Mexico and the ocean, the shrimp burrito alone was a cultural, culinary experience worth the nearly 300-mile drive. Arts Editor Joe Payne can still taste that shrimp burrito. Contact him at jpayne@santamariasun.com.